This extra large etched hurricane globe is a limited edition item. Each globe was painstakingly mouth blown, then etched and finished by hand. Due to the hand made nature of this product, imperfections will be present, and are considered normal. The diameter of the base measures 2 7/8 inches. 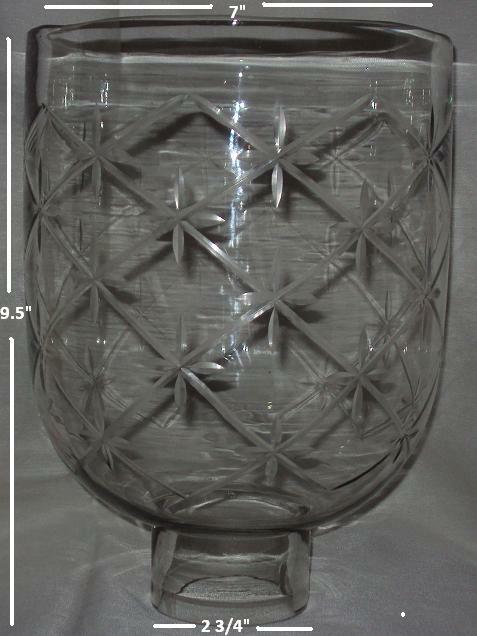 This large glass stands 9 inches tall with a top opening of 7 1/2 inches.